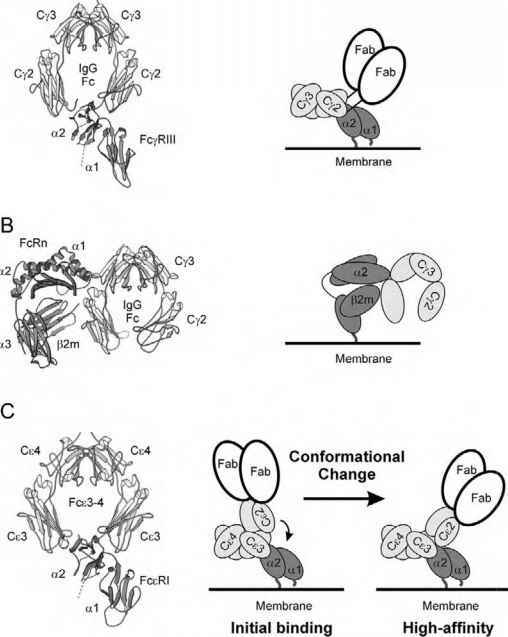 The 10 members of the mammalian PKC family are grouped into three classes based on their domain structure, which, in turn, dictates their cofactor dependence (Fig. 1). All members comprise a single polypeptide that has a conserved kinase core carboxyl-terminal to a regulatory moiety. This regulatory moiety contains two key functionalities: an autoinhibitory sequence (pseudosubstrate) and one or two membrane-targeting modules (C1 and C2 domains). The C1 domain binds diacylglycerol and phosphatidylserine specifically and is present as a tandem repeat in conventional and novel PKCs (C1A and C1B); the C2 domain nonspecifically binds Ca2+ and anionic phospholipids such as phos-phatidylserine. Non-ligand-binding variants of each domain exist: atypical C1 domains do not bind diacylglycerol and novel C2 domains do not bind Ca2+. called protein kinase D.) The role of the novel C2 domain in novel PKCs and that of the atypical C1 domain in atypical PKCs is not clear, but each may regulate the subcellular distribution of these isozymes through protein-protein interactions.